The 12th Cinemalaya Independent Film Festival will be bigger this year as it expands its reach beyond Metro Manila to Cebu City this August. 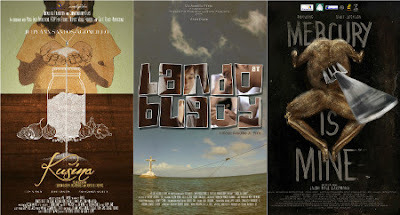 In Metro Manila, Cinemalaya opens at its main venue on August 5-14 at the Cultural Center of the Philippines and at satellite venues at Ayala Cinemas in Greenbelt 3 and Glorietta, Makati, Trinoma and UP Town Center, Quezon City and Nuvali, Sta. Rosa. In Cebu, Cinemalaya will run from August 9-14 at Ayala Mall.